A fun and quirky inflatable that definitely has the potential to impress your guests. 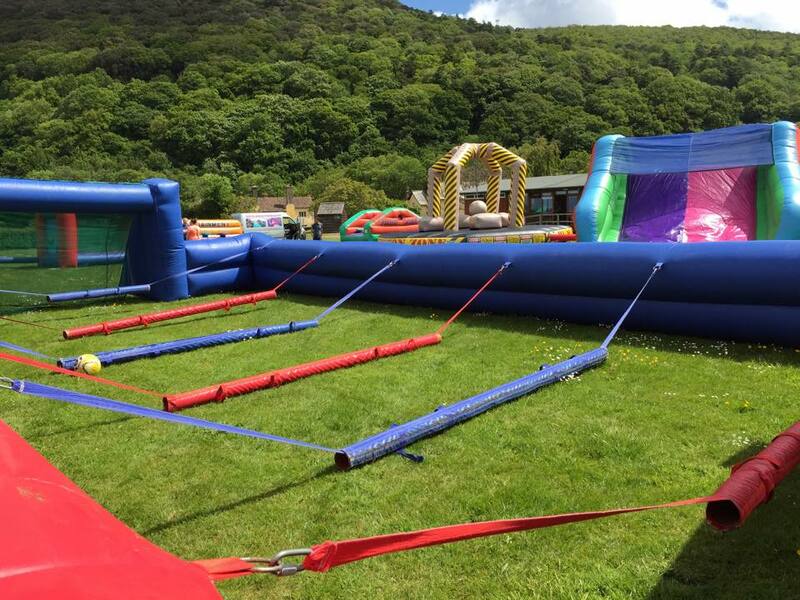 Up to ten people can take part at any one time as they become players in this life sized table football. Two teams of five compete in a match like no other as they are strapped to a pole within the large inflatable, allowing them only to run from side to side. This adds a whole new element of fun and excitement to an already exhilarating game. You can look on in amusement, watching as the players can't decide to run to the left or right and in the end getting nowhere as the opposition kick the ball past them. Eventually the team will learn that the only way to score that all important goal is to work together harder and communicate. 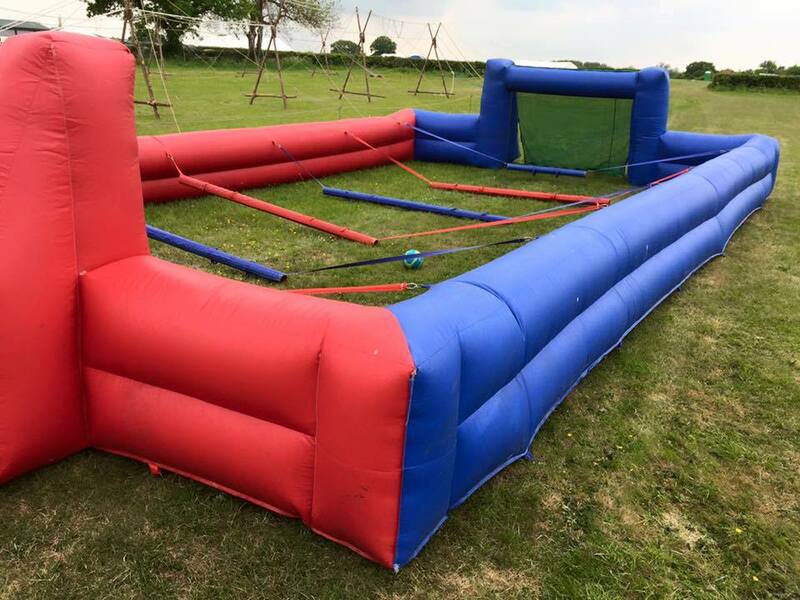 This is a fantastic inflatable suitable for all ages at a variety of events including team building events and you can be sure that it will draw in the crowd at your fun day.